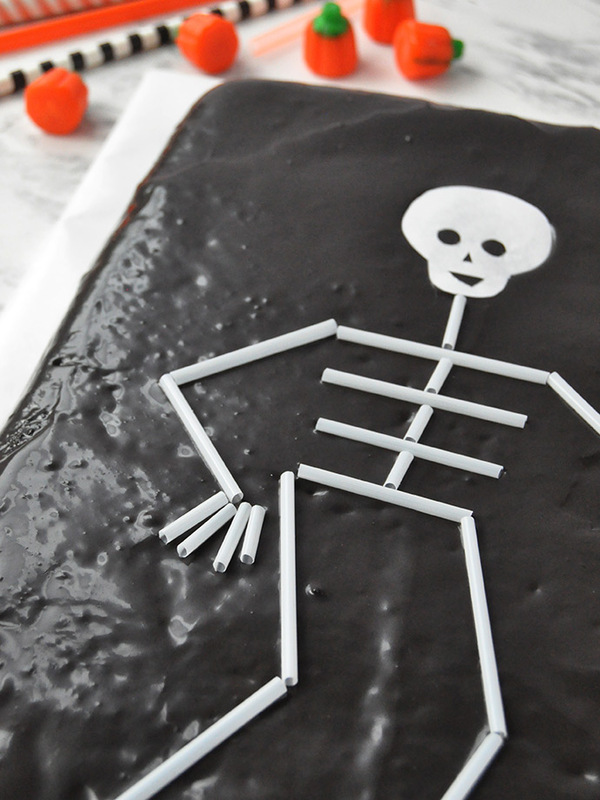 Dress up a plain grocery store cake with drinking straws this Halloween! 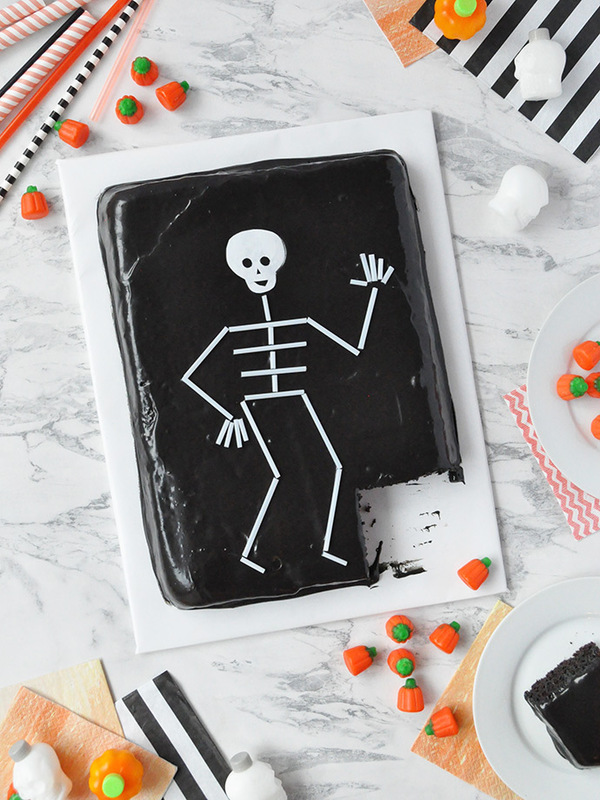 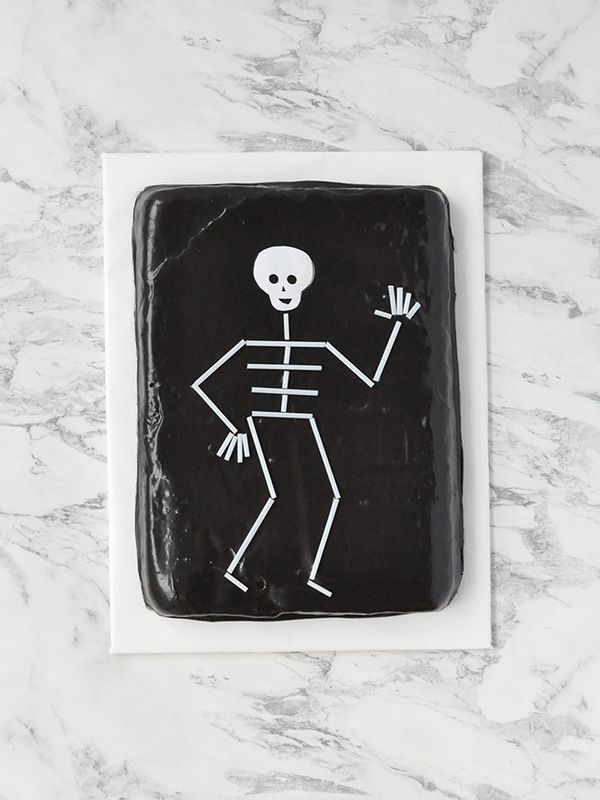 This DIY skeleton cake topper is so easy to put together and really makes a big impact! 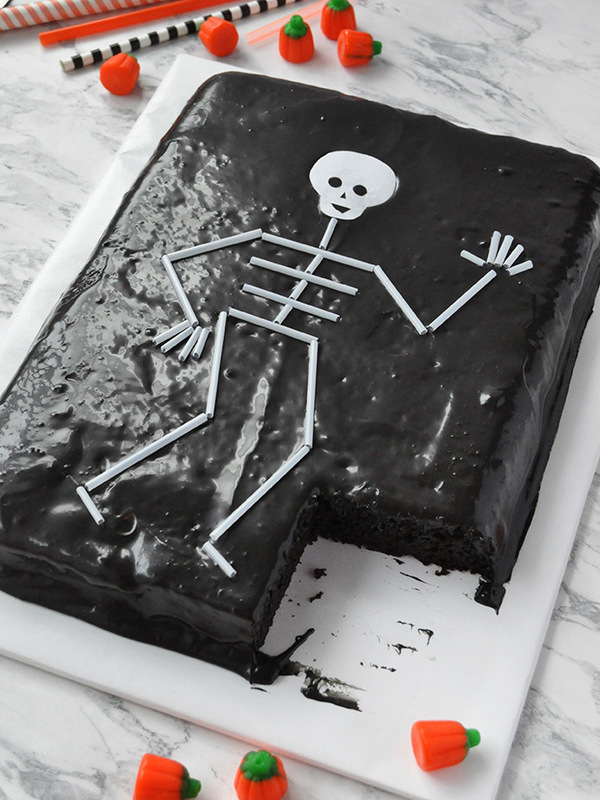 We used chocolate icing tinted with black food gel for a spooky look but lime green or pale orange would be so cute too. 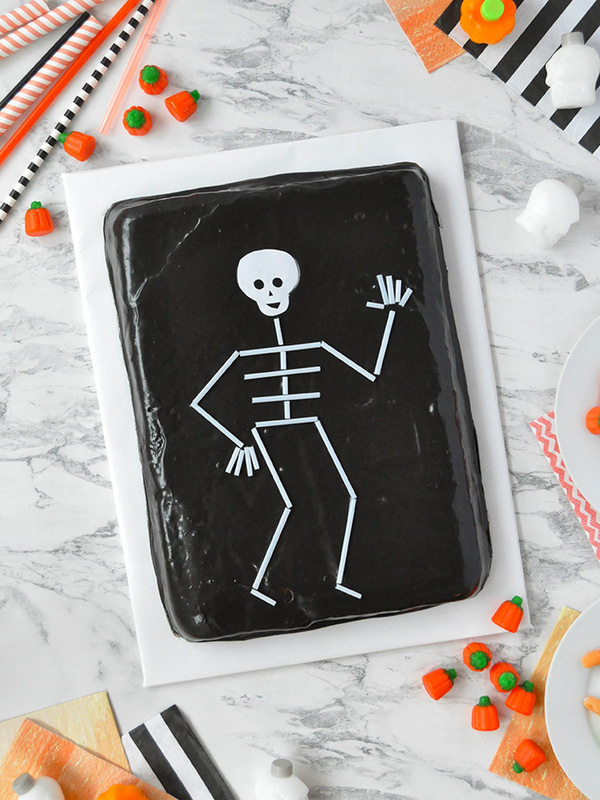 We’ve got even more spooky skeleton cake decor coming up later in Monster Week, so if you’ve got cupcakes on your menu stay tuned! 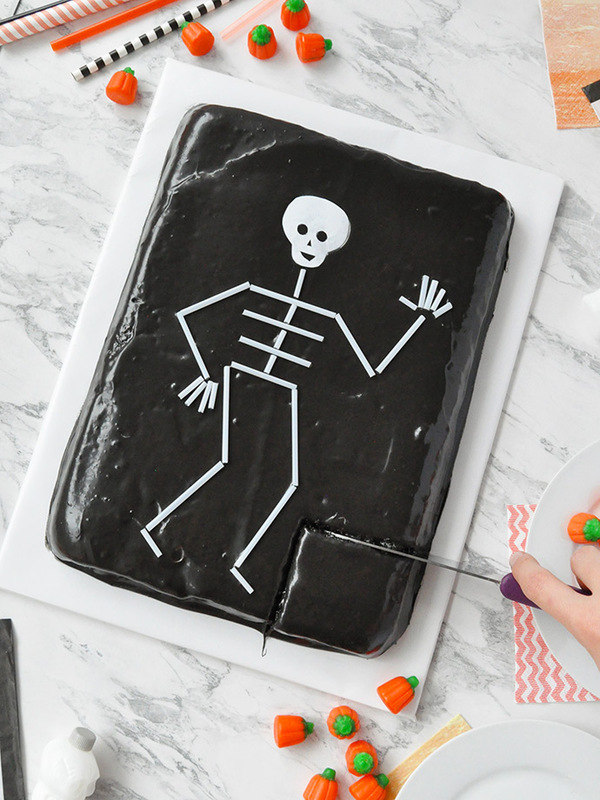 For now, keep reading for more photos and the full how-to! 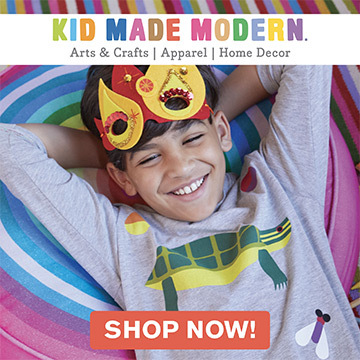 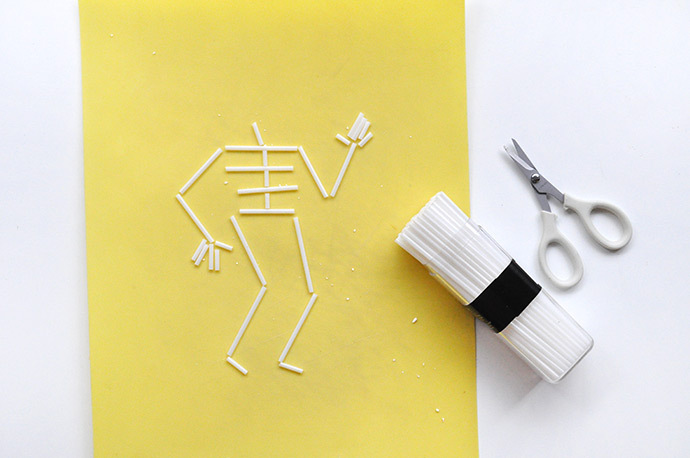 Begin by laying out and cutting your straws to form a simple skeleton shape! 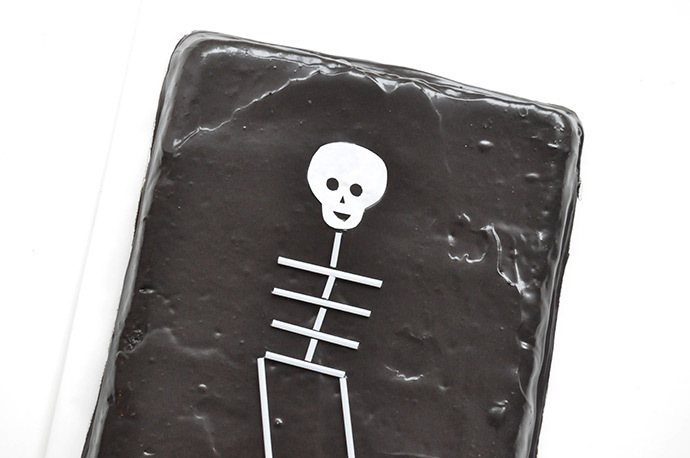 For the skull, draw a simple head shape onto white freezer or parchment paper and cut out. 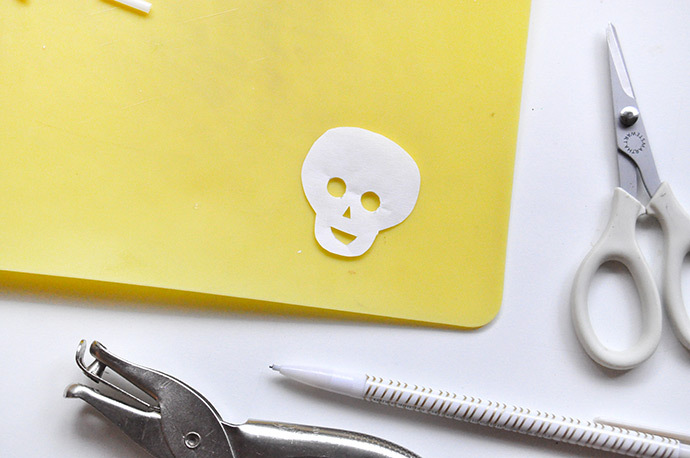 Use a hole punch to form the eyes, and a small pair of scissors (or craft knife) to cut a tiny little nose and mouth. 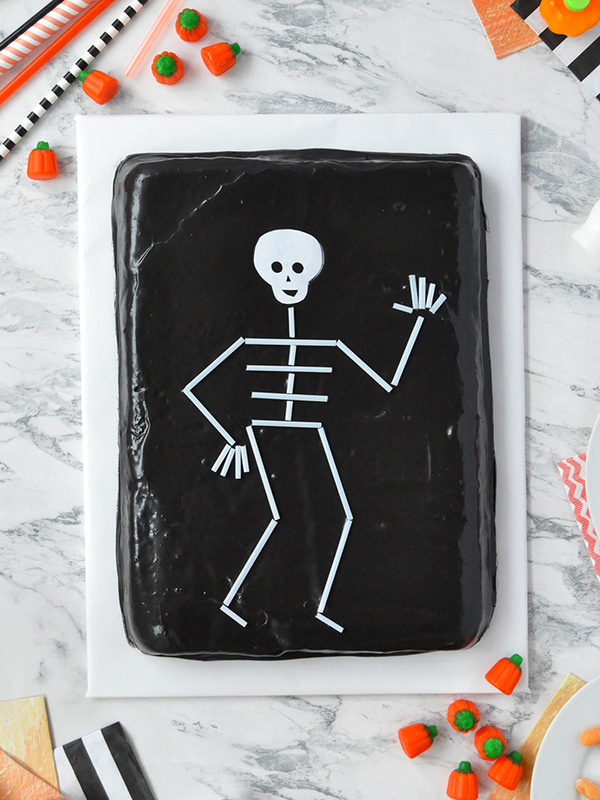 Arrange the straw bones and paper skull on the cake and serve!